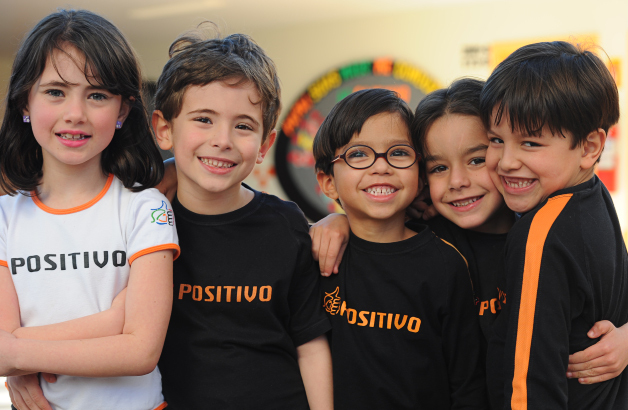 With three units in Curitiba, where the teaching model carried across the country and abroad was developed, Colégio Positivo serves students from Kindergarten to Secondary Education, with a commitment to form ethical citizens responsible for and aware of their social role. Through quality classes, differentiated projects, education technology and a privileged infrastructure, the institution mobilizes students to learning with multiple intelligences stimulus. Students are offered complementary sports and cultural activities, as well as differentiated English classes, controlled by Centro Positivo de Línguas, which is the authorized center for the application of international proficiency tests from Cambridge ESOL. "I consider a differential that my children are at a big school, but in which all people, from the principal to the inspector, meet students by name. I completed all the Basic Education in Colégio Positivo and what I learned gave me a very good and important basis for my entire life. Today, I trust in the institution for my children who, in addition to studying, can have a character formation and become citizens." Marcelo Rossa, Father of Giulia, Giovanna and Gustavo, all Colégio Positivo students.